A visual explainer of the unrest in Myanmar that has forced around one million Rohingya to flee their homes. They’ve been described as the “world’s most persecuted minority”. The Rohingya are a majority-Muslim ethnic group who have lived in the Buddhist nation of Myanmar for centuries. The maps below follow the path of Rohingya from their ethnic homeland of Rakhine state in Myanmar to Bangladesh’s district of Cox’s Bazar, as well as several other countries in Asia, where the Rohingya have sought sanctuary since the 1970s. Where are the Rohingya located? 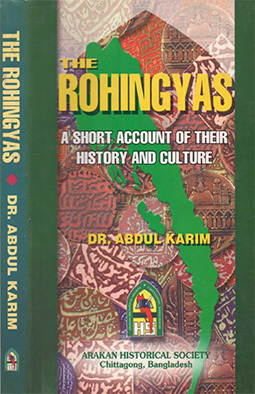 Rohingya are ethnically from the Rakhine State in Myanmar, previously known as Arakan. They have faced persecution at the hands of Myanmar’s military since the country’s independence in the late 1940s. In October 2016, a military crackdown in the wake of a deadly attack on an army post sent hundreds of thousands of Rohingya fleeing to neighbouring Bangladesh. Similar attacks in August 2017 led to the ongoing military crackdown, which has led to a new mass exodus of Rohingya. Most Rohingya have sought refuge in and around Cox’s Bazar in Bangladesh. Which countries are hosting the Rohingya? About one million Rohingya have fled Myanmar since the first brutal military action in 1977. The majority have taken refuge in Bangladesh, but other countries in Asia and the Middle East have also opened their doors to one of the world’s most persecuted communities. Are there other ethnic groups in Myanmar? In 1982, Rohingya were not recognized as one of the 135 official ethnic groups in Myanmar and were barred from citizenship and basic human rights, effectively rendering them statless. 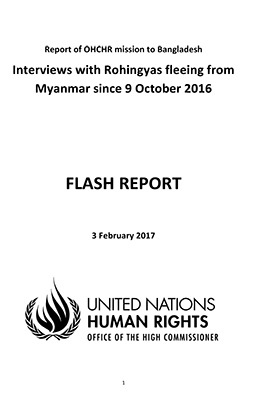 Buddhists in Myanmar believe that Rohingya are Bengali who migrated to Myanmar illegally during the British rule in the subcontinent. Which villages are being attacked? 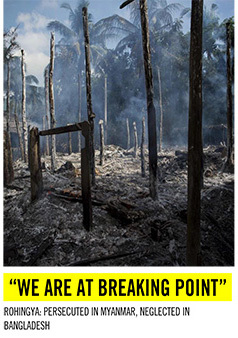 More than 80 villages in northern Rakhine State have been set ablaze by Myanmar security forces and vigilante mobs since August 25, according to Amnesty International. Myanmar’s government has said that nearly 40 percent of Rohingya villages had been targeted by the army in so-called “clearance operations”, with 176 out of 471 villages emptied of people, and an additional 34 villages “partially abandoned”. According to the International Organization for Migration, more than 300,000 Rohingya arrived in Bangladesh in the 1990s. Violent clashes in the Rakhine State continued in 2012 and 2015, displacing more Rohingya. In October 2016, following an attack on the Myanmar border police, the military started a security crackdown on Rohingya, blaming them for the rebellion. This sent about 87,000 Rohingya to rush to Bangladesh for refuge. The last military crackdown started on Aug 25, 2017, when an armed Rohingya group attacked military posts in Rakhine State. Since then, the Myanmar military is reported to have burned dozens of Rohingya villages and fired indiscriminately at unarmed men, women and children. The unprecedented crackdown has sent more than 480,000 Rohingya to flee Myanmar and seek refugee in refugee camps in Bangladesh’s Cox’s Bazar.